A lot of the Filipino culture has been greatly influenced by the Spanish colonization. From the name itself, the Filipino dessert Maja Blanca is one of them. The name translates to “white delicacy” which describes this dessert perfectly. 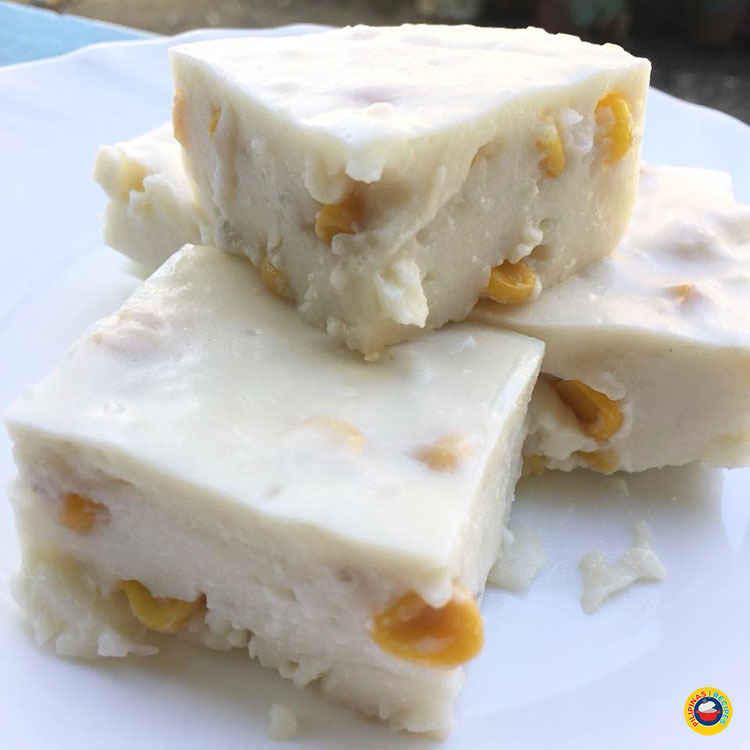 This Delicacy is made from coconut milk, corn starch or gelatin, sweet corn kernels, milk, sugar and an option to put toasted coconut meat or Latik (browned coconut cream crumbs) as toppings. 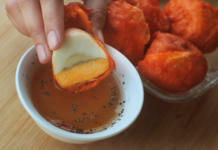 It is fairly easy to make and the ingredients are very abundant in the Philippines. The Maja Blanca Recipe is almost like a Panna Cotta in texture but in terms of flavor, the coconut milk gives it a more subtle depth. 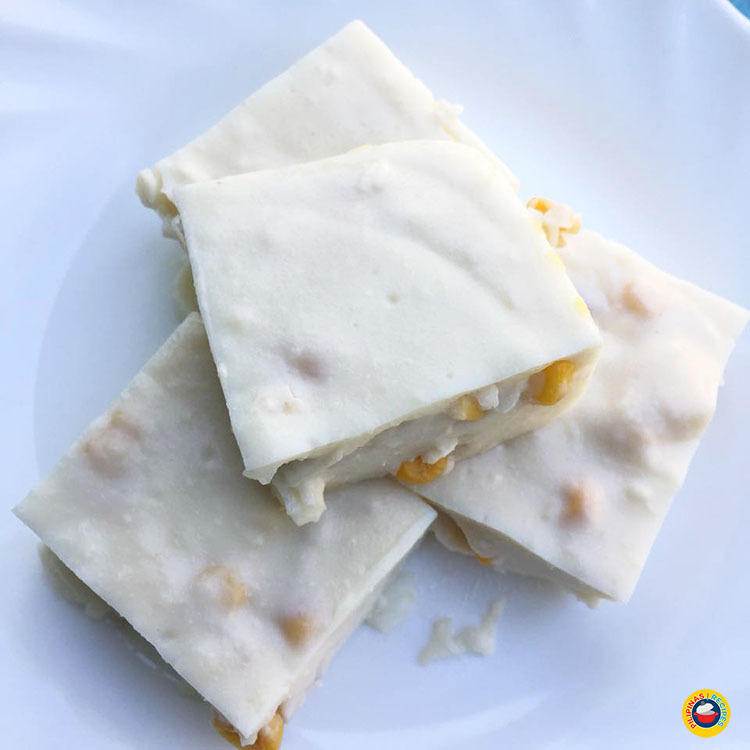 It is very creamy but not too sweet, and the Sweet Corn kernels that you find in between each bite will add another exciting flavor. 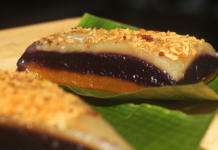 The Latik toppings are also there to add another texture and give it a nutty flavor. This delicacy is meant to soothe the soul for its melt-in-your-mouth goodness. This delicacy is made from coconut milk, corn starch or gelatin, sweet corn kernels, milk, sugar and an option to put toasted coconut meat or Latik (browned coconut cream crumbs) as toppings. Mix well until the cornstarch is fully dissolved then cook over medium heat stirring well to avoid it from settling at the bottom of the pot. 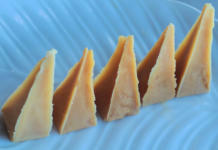 Pour to your desired container or molding tray then top with cheese and corn let cool and refrigerate before serving. This video shows another recipe for maja blanca. The recipe of Maja Blanca is very simple to follow and would not require rocket science to pull off. The base for this recipe is the coconut milk. Once you have that, let it simmer in a pan with milk and sugar for a few minutes. If the sweet corn kernels that you are using are still raw, include them in the mixture to cook. Take half a cup of the simmered mixture, mix in the cornstarch and add it in. Doing this can prevent lumps and distribute the cornstarch evenly. One thing to use instead of cornstarch would be agar, which is a gelatin substitute made from seaweed. Using it can make the Maja firmer. Whisk the mixture continuously until it has thickened. Remove it from the heat and transfer to a mold. Now, if the sweet corn you are using is canned or pre-cooked, you can mix them in at this stage to prevent them from floating. Refrigerate the Maja until it has set. Finally, add the toppings like Latik, toasted coconut meat or even grated cheese before slicing each serving. 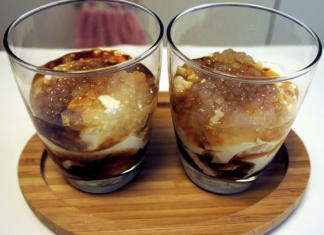 This is perfect for Meryenda like Palitaw or dessert after meals. Questions regarding the Recipe? Comment below.Don’t forget to like our Facebook Page for more Free Filipino Recipes. Search “Pilipinas Recipes” on Facebook or simply click this LINK. Thank You! Thanks Emma, Hope you like our Recipe. Feel free to browse more. More Recipes soon. Thanks for sharing your recipe. Very informative and easy to follow. Thanks Mate. 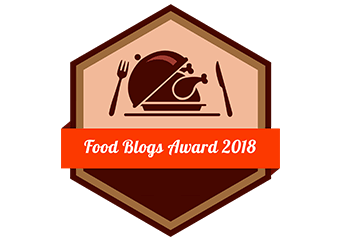 Hope you enjoy our Recipes. More Power and Mabuhay! !